You like feeling safe, but you enjoy being adventurous? Do you have a family of four, and a dog that goes with you everywhere? Maybe you live in part of the world where having four powered wheels isn’t an option it’s a “must have”? You want an SUV, but not a huge gas guzzling apartment on four wheels? 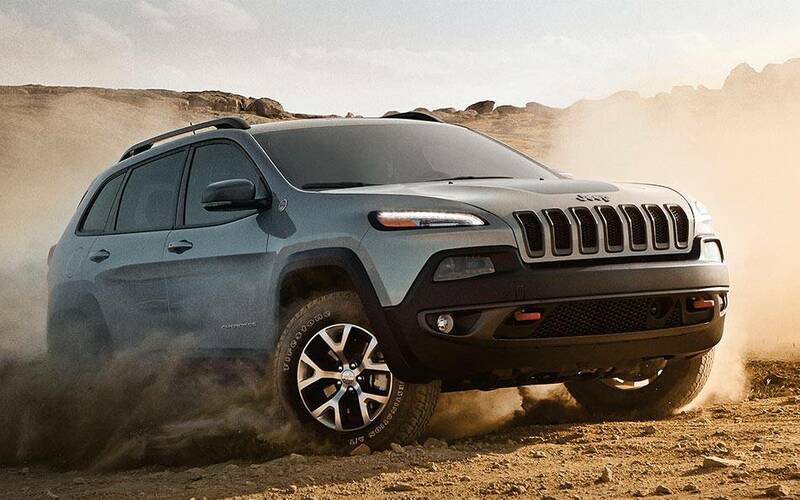 I think we have your match, meet the 2015 Jeep Cherokee Trailhawk. With the 4×4 Active Drive Lock that puts this crossover in full-time four-wheel drive you can pretty much get through anything. The Jeep has two engines that you can choose from. A Tigershark inline four-cylinder that delivers a tested 184 horsepower and 171 pound-feet of torque or 3.2-liter Pentastar V6 that delivers a tested 271 horsepower and 239 pound-feet of torque. The Trailhawk has been tested off-road and in numerous conditions giving it Jeeps Trail Rated Badge recognition. Making your way up hills or down dirt paths? Easy, this Jeep features hill descent and descent control and a locking rear differential. With all these off-road, all-terrain capabilities you’re probably wondering how this thing drives? Smooth! The Trailhawk is designed with a ZF nine-speed automatic transmission that gives the driver a nice and easy ride like that of a luxury car. Starting at $30,890 this Jeep comes equipped with a leather wrapped shift knob and steering wheel and an 8.4 inch U-Connect touch screen infotainment system. If you’re like most Jeep enthusiasts then you’ll be using your Trailhawk after sun down. No problem. The 2015 Jeep Trailhawk comes equipped with fog lights and bright LED running lights to help navigate through the nocturnal world. On board? Great! Come test drive one today at our store, or if you’re free next week go take a ride through Camp Jeep at the Washington Auto Show January 23 – February 1. At Camp Jeep guests can take a Jeep Cherokee Trailhawk through its rugged obstacle course and experience what it feels like to be off the road is a Trailhawk! With 2014 coming to an end Jeep wraps up another productive year in the automotive market. The company sold over 1 million Jeeps worldwide recording a 39% growth in sales. Jeep captures majority of its’ sales from the American market, but understands that growth in 2015 and after will depend a lot on foreign markets. This year Jeep plans to launch production in China and Brazil due to it’s increase in sales in both Asian and South American markets. Fascinated with the Jeep brand yet? Or have you always been a Jeep fan? 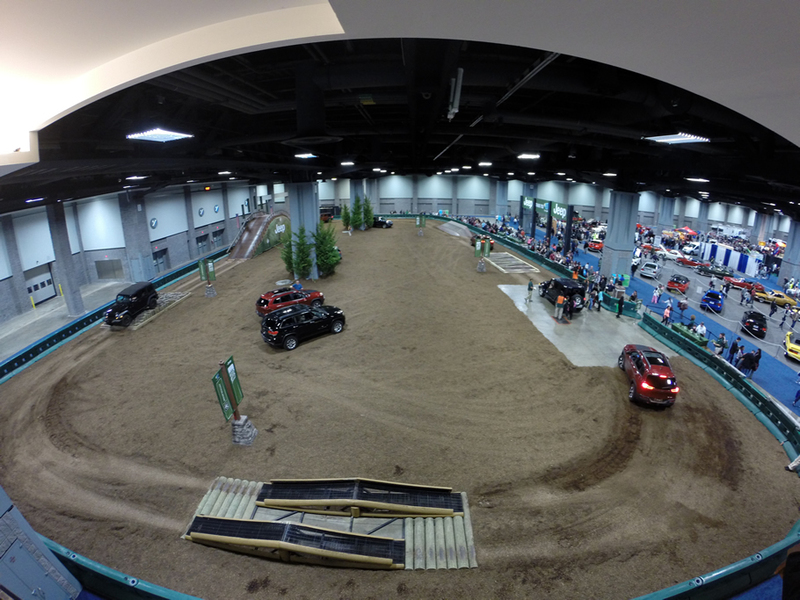 Be sure to check out Camp Jeep at The Washington Auto Show from January 27-February 1 at the Washington Convention Center. The people at Jeep will provide a rugged terrain course in which guests can test out the off-road capabilities of the latest Jeep models. From ramps to rocks this test course has it all for the ultimate Jeep experience!